Morris "Mo" Gollub was an American comic book artist and animator. 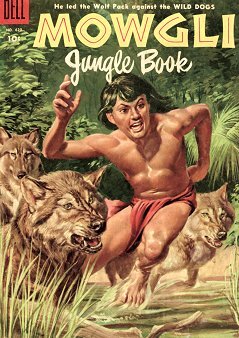 From 1937-41 he worked at Disney on projects including Bambi, for which he later drew a comic adaptation. From 1947-71 he worked at Dell Publishing/Western Comics. 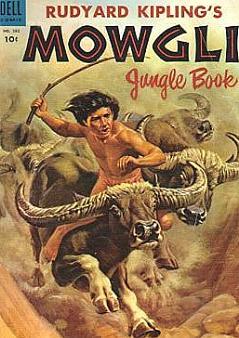 His work includes several Tarzan comics, and also three Mowgli comics in the Dell Four-Color range. 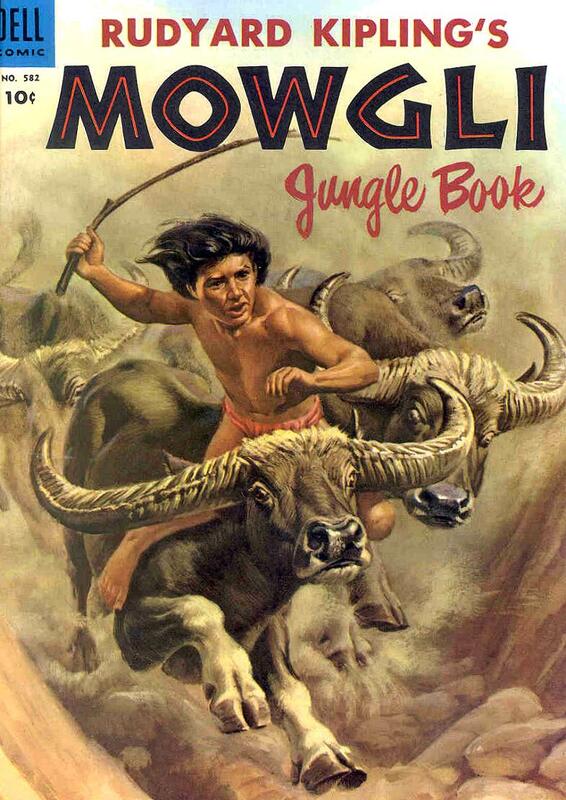 No 487 (1953) adapts "Mowgli's Brothers" and "Kaa's Hunting, no. 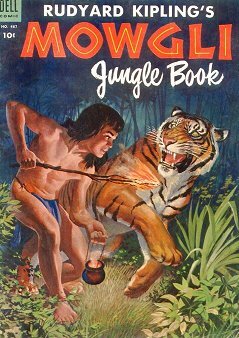 582 (1954) adapts "Tiger! 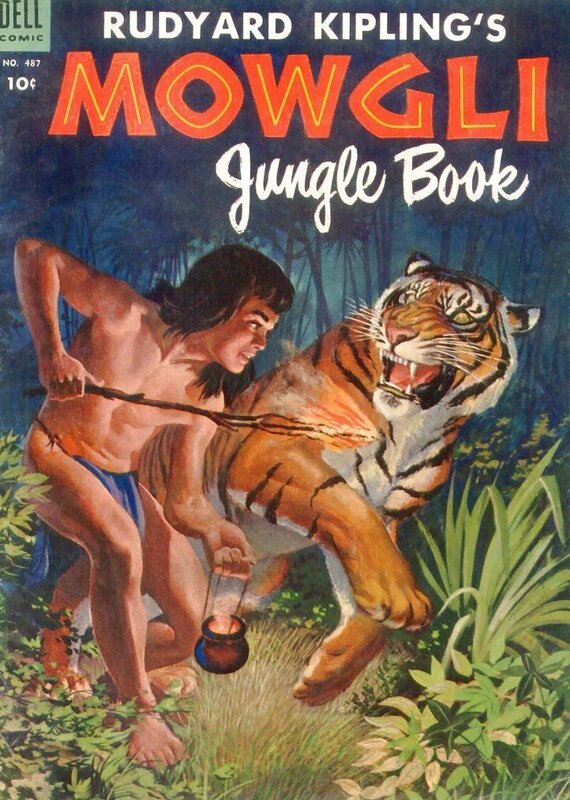 Tiger!" and "Letting In the Jungle", while no. 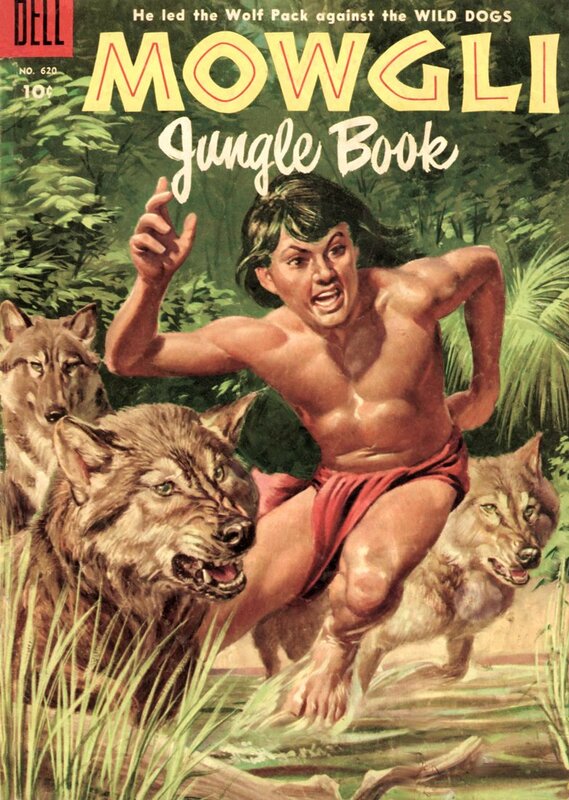 620 (1955) adapts "Red Dog" and "The King's Ankus" (in reverse order of publication and chronology). As well as the interior artwork, Gollub was also responsible for the striking painted cover art.